Wayne Larrivee, the voice of the Packers Radio Network, is a pro’s pro. He’s the best radio announcer in the NFL. He’s clear, concise, and paints a wonderful picture of the game through his words over the radio airwaves. While he’s pulling for the hometown team, he isn’t over the top about it. He keeps it honest and professional. There’s a reason he always gets gigs to call games for ESPN. During this contest versus the Baltimore Ravens, he was visibly annoyed by the performance from the Packers. Or, you could hear how annoyed he was and could clearly imagine the frustration that he would be showing if seeing him in person. As a professional, it was embarrassing for him to report the three hour debacle on the field. This tweet from Doug Schneider of the Green Bay Press Gazette correctly summarizes what Larrivee was tasked with reporting to the radio audience. There will be countless articles detailing the putrid performance from the Packers today. This isn’t one of them. This is about a compelling point that was brought up during the radio broadcast by the best in the business. The athletes in all sports nowadays are better each year. The information and resources for maximizing potential output from the human body is now bottomless. Our society is now a couple generations into developing its athletes into the most physical specimens possible from birth to adulthood. Humans haven’t evolved enough in the past 50 years to where the average weight of an NFL lineman jumps by over 50 pounds. An artificial accelerator has been introduced. Weight training, nutrition, and information on maximizing physical output have advanced astronomically in the past 40 years. Sports used to be a collection of people who happened to be the best at what they did without living in a weight room and training year round for a specific sport. NFL players held full time jobs after the season was over because they needed the money. Football was merely a fall gig. They had jobs to do from January thru August instead of time to pump iron. The men of yesteryear were not idolized and paid fortunes to play a kid’s game. They had real jobs and made blue collar wages. Fast forward to 2017. Virtually every player on every roster is a physical specimen sans punters, kickers, and some quarterbacks. Collisions in football are sometimes described like a car collision. Well, if collisions in the 1960s were like two Volkswagon Beetles colliding, today’s collisions are like two Ford F-350 King Ranches colliding. 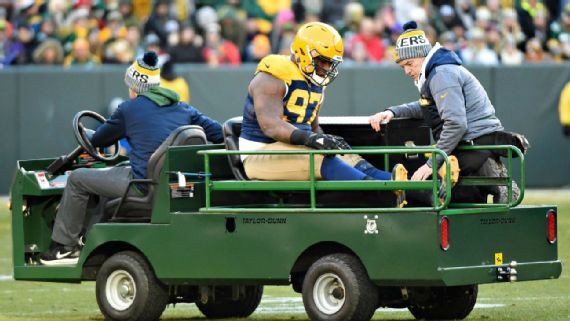 While politics infecting the NFL has done damage in the short-term, the seriousness of injuries and inability of players to stay on the field are critical issues for the long-term. Though the bodies are so much bigger/faster/stronger than a couple generations ago, their ability to withstand the increased punishment that said bodies dole out on each other has not kept pace. Advancements in surgery and rehab have been made, but not enough to counter the increase in the ability to inflict damage. Larrivee also stated that it was unheard of to hear about 300 pound lineman doing 5 second shuffle drills at the combine. Now, it’s expected. The torque that bodies leverage against each other vs. the 1960s is almost night and day apart. All this comes back to what the old guard in Wayne Larrivee and his kin see now vs. what they grew up seeing. The ankles that get bent back from the force of a pile are enduring harsher treatment. When a tackle’s leg gets rolled into, it’s now from a 350 pounder instead of a 250 pound man. Defenseless receivers now get head shots by 230 pound safeties charging at 18 mph instead of 190 pound safeties charging at 15 mph. Larrivee seemed tired during the latest broadcast from seeing another player carted off the field. He’s tired of sloppy play from less talented players being forced into action because of the inevitable injuries to starters. Sloppy play results in good players being forced into more compromising situations. But hey, it’s football. Injuries are expected. They’re a part of the game. Next man up. Survival of the fittest. Sometimes, though, it just plain stinks when someone that’s great at what they do keep getting hurt, and it doesn’t have to totally be that way. This entry was posted in Packers 2017-2018 Season, Uncategorized and tagged Baltimore Ravens, Ford, Green Bay Packers, Kenny Clark, NFL, Packers, wayne larrivee. Bookmark the permalink. Players launch themselves through the air to make a tackle instead of simply stopping the ball carrier. The defensive player drives the QB into ground for no reason other than to intimidate and injure. An LB works out until his hamstrings are as tight as guitar strings. The RB lowers his head because of all those previous things. This all seems to be the logical result of a sport that is the 21st century equivalent of the Roman colosseum, except for one thing. The game cannot survive this because the players cannot survive it. When an Aaron Rodgers goes down because of this, we get this fetid, steaming pile, but moreover, the product on the field affects the fans’ desire to watch. Sure, someone who posts a rant in the comments of a blog is always going to watch, but how many people are simply not going to bother next week because Brett “I’m really not a pro QB” Hundley is the GB QB? And the NFL wonders why ratings are tanking. The thing is, if Aaron Rodgers wasn’t injured and we were 8-2 we wouldn’t even be having this conversation, so I suppose we all need to take a seat and accept the likelihood of a 6-10 season. The play on the field as a whole is nearing disastrous.Teams are mostly Jekyll and Hyde week to week.Players are drafted more for the program/school which they attended than for actual ability and this is much more in regard to QB’s but all other positions do same. The physicality of these players is eye popping as many seem to be Tony Mandarich’s body 6.0 version and yet spend more time in the rehab room than on the field. Every draft we hear the experts talk and talk about ‘raw ability’ when the ability presented in the NFL is artificial, media driven/hyped and excused for their off field antics/crimes as being kids. The fans of the NFL are now and have been duped for years on the explosion of the bigger,faster,stronger when one sees how fast/constantly these players are on the injury list. Clay Matthews is being paid 15 million and his contribution,less his injury down time, is almost nil for what he was/is paid for and not the roaming linebacker many dupes want to applaud though still getting near nil return for the money. Expectations for Hundley were by far extreme,though I’m on record to the opposite, as it appears also are the expectations of the Rodgers led Packers to see another SB. Rodgers will assure a playoff spot but the talent and ability of the others,with a couple exceptions will be the deterrent as been witnessed since our last in 2011.